The solar power conditioning units (PCUs) are an integrated system consisting of a PWM charge controller, sine wave inverter, and grid charger. They are used in battery based off grid and grid connected solar applications. They support both grid based and solar based charging of batteries. The battery is charged through solar panels until it is fully charged. Once the battery is charged, then the loads are powered through battery. In case battery gets discharged below a preset level, then the charging of the battery is done through electrical grid, if grid is present. The solar PCUs are offered in the range of 100VA to 7.5KVA and are transformer based. Detailed specifications of the PCUs are found in the attached data sheet. 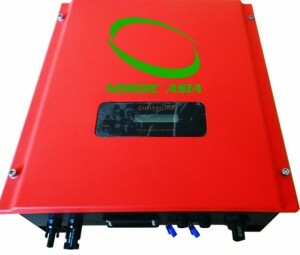 MPPT based charge controller with a solar PCU can also be provided. These solar PCUs also include a PWM charge controller, sine wave inverter and a grid charger. Unlike the earlier described class of PCUs, these PCUs are lighter, more compact and have higher efficiency. They do not use transformers and switching is done at high frequencies using IGBTs instead of MOSFETs. These smart PCUs also allow for user configurable prioritization between solar, grid, and battery power sources to power the electrical load. Detailed specifications of the smart PCUs are found in the attached data sheet. MPPT based charge controller with the smart solar PCUs can also be provided. 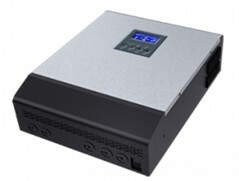 The grid connected solar inverters are designed for use in grid connected rooftop or ground mounted residential and commercial solar applications. These inverters do not support batteries, and synchronize their output to the frequency and phase of the electrical grid. The inverters provide for high conversion efficiency of almost 96.5%. 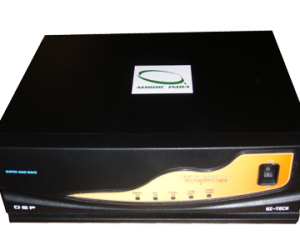 Other features include MPPT tracking, transformerless design, input operating voltages between 110V – 450V, IP65 protection for outdoor use, and support monitoring through RS-232/RS485. These inverters are certified to meet VDE 0126, IEC62109, and IEC 62103 standards, Detailed specification of the grid connected inverters are attached below. The Solar Micro-Inverter is a DC-AC inverter that converts the DC output of a single solar panel to AC. Unlike a conventional string inverter system, solar micro-inverters are connected to each panel and then connected in parallel. This panel wise control, combined with inbuilt intelligent maximum power point tracker, enables maximum power output from each panel throughout the day. This feature gives up to 25% more power when compared to conventional string inverter system. 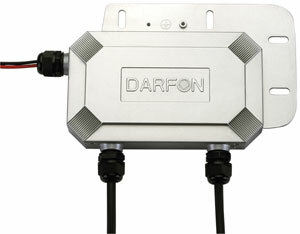 Nordic India is an authorized sales partner for Darfon’s microinverter products.